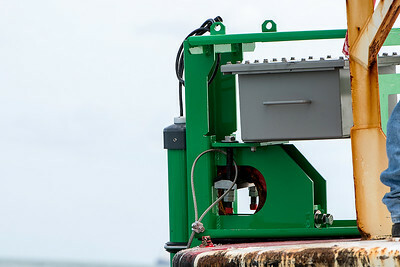 CORPUS CHRISTI, Texas – Texas A&M University-Corpus Christi’s Conrad Blucher Institute for Surveying and Science (CBI) recently entered into an interlocal cooperation contract with the Port of Corpus Christi Authority (POCCA) to install a Physical Oceanographic Real-time System, or PORTS®, that is now operational and live on the NOAA PORTS website. 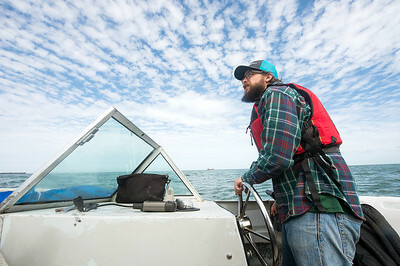 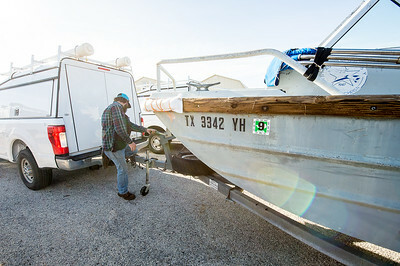 Hugo Mahlke, research engineer for Texas A&M Corpus Christi - University; prepares the trailer hitch to the boat as the Conrad Blucher Institute group departs to install their PORT system off of the shore of Port Aransas, Tx. 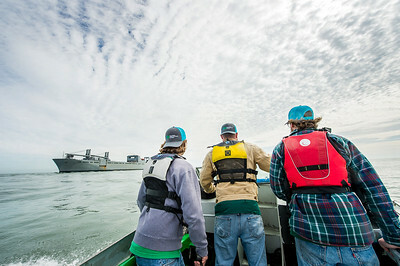 Conrad Blucher Institute researchers from Texas A&M University - Corpus Christi, load equipment on to their boat at the Port Aransas, Tx marina. 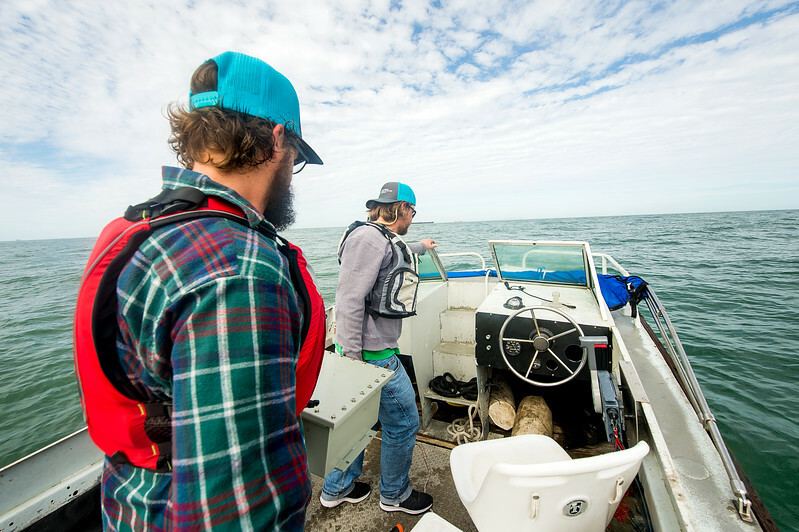 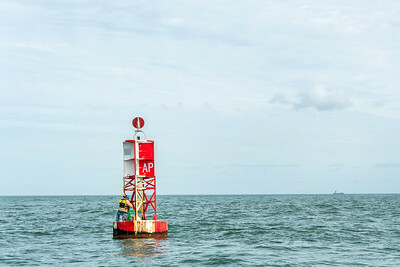 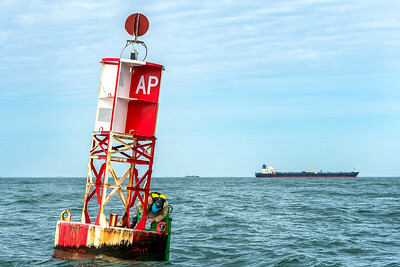 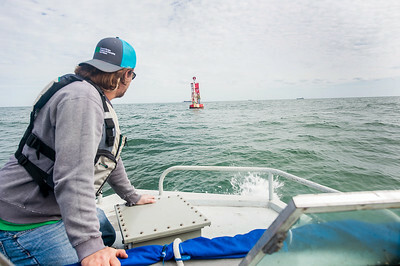 Texas A&M University - Corpus Christi's Conrad Blucher Institute research engineers Alistair Lord (left), Zachary Hasdorff, and Hugo Mahlke make their way out of the Aransas Pass channel, and into the Gulf of Mexico to install a CCPORTS system on a buoy. 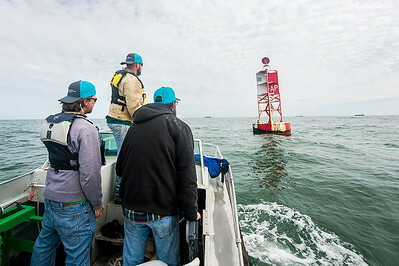 Texas A&M University - Corpus Christi's Conrad Blucher Institute research engineers Alistair Lord (left), Zachary Hasdorff, and Hugo Mahlke arrive at a buoy located a few miles off the coast of Port Aransas, Tx. 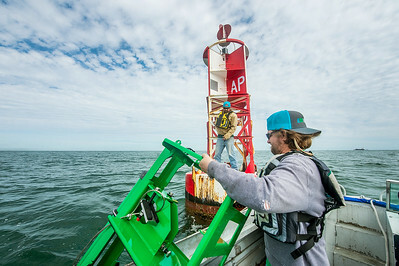 Alistair Lord (right) prepares to hand off the clamperatus to Zachary Hasdorff during their installation of the CCPORTS system off the coast of Port Aransas, Tx. 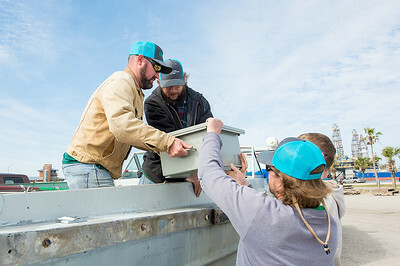 Zachary Hasdorff (left), Alistair Lord, and Hugo Mahlke, work together to move the clamperatus off of the ship and onto the buoy as they install a CCPORTS system. 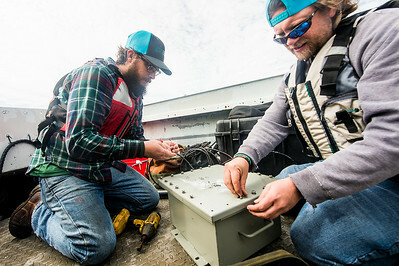 TAMU-CC Conrad Blucher Institute research engineers Alistair Lord (left), and Hugo Mahlke prepare a module that will be attached to the clamperatus, during their installation of the CCPORTS system off of the Port Aransas, Tx coast. 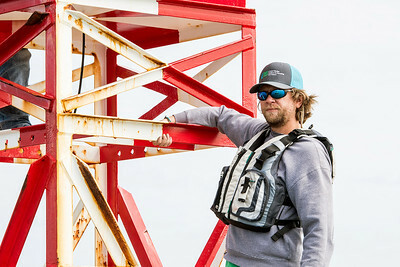 TAMU-CC Conrad Blucher Institute research engineer Alistair Lord adds an adhesive layer to the module during their CCPORTS installation off of the coast of Port Aransas, Tx. 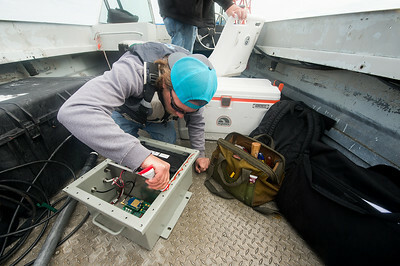 TAMU-CC Conrad Blucher Institute research engineer Alistair Lord places the lid over the box module during a CCPORTS installation off of the coast of Port Aransas, Tx. 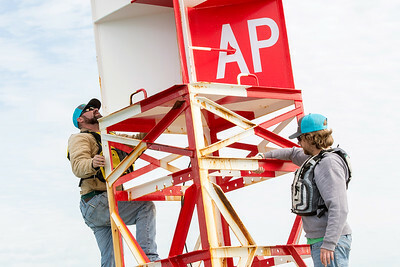 TAMU-CC Conrad Blucher Institute research engineers Hugo Mahlke (left), and Alistair Lord prepare a module that will be attached to the buoy, during their installation of the CCPORTS system off of the Port Aransas, Tx coast. 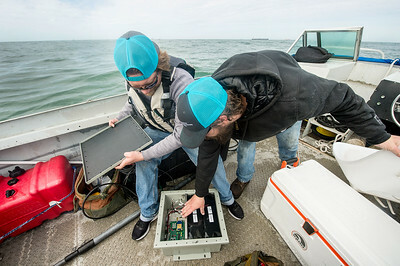 TAMU-CC Conrad Blucher Institute research engineers Hugo Mahlke (left), and Alistair Lord move a module towards the front of the boat; during their installation of the CCPORTS system off of the Port Aransas, Tx coast. 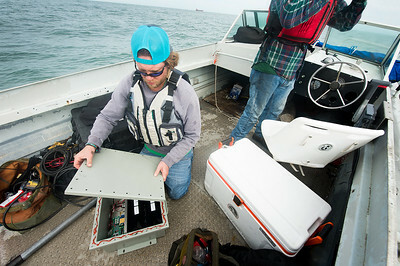 TAMU-CC Conrad Blucher Institute research engineer Alistair Lord prepares to hand off a module to Zachary Hasdorff during their CCPORTS installation off of the coast of Port Aransas, Tx. 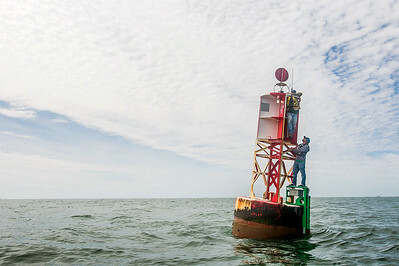 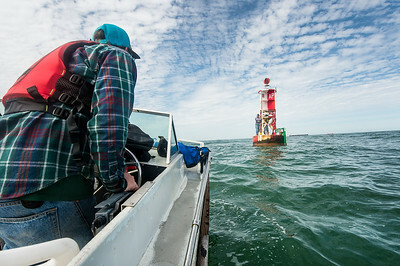 TAMU-CC Conrad Blucher Institute research engineer Zachary Hasdorff installs the clamperatus to the buoy during their CCPORTS installation off of the coast of Port Aransas, Tx. 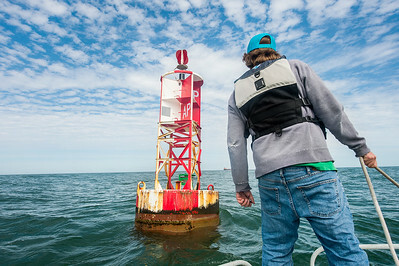 TAMU-CC Conrad Blucher Institute research engineer Zachary Hasdorff installs a module to the buoy during their CCPORTS installation off of the coast of Port Aransas, Tx. 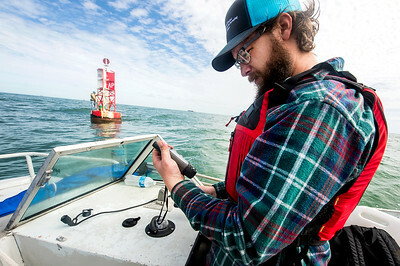 TAMU-CC Conrad Blucher Institute research engineer Hugo Mahlke reads GPS data during their CCPORTS installation off of the coast of Port Aransas, Tx. 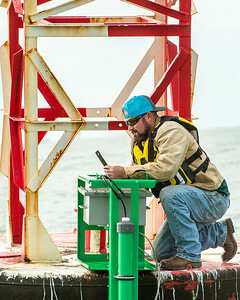 TAMU-CC Conrad Blucher Institute research engineer Hugo Mahlke during the CCPORTS installation off of the coast of Port Aransas, Tx. 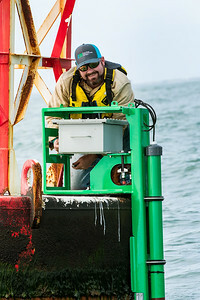 TAMU-CC Conrad Blucher Institute research engineer Alistair Lord prepares to board a buoy during a CCPORTS module installation off of the coast of Port Aransas, Tx. 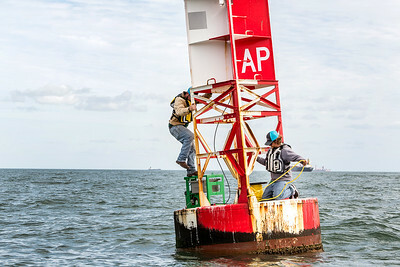 TAMU-CC Conrad Blucher Institute research engineers Zachary Hasdorff (left), and Alistair Lord attach an antenna to a buoy during a CCPORTS module installation off of the coast of Port Aransas, Tx. 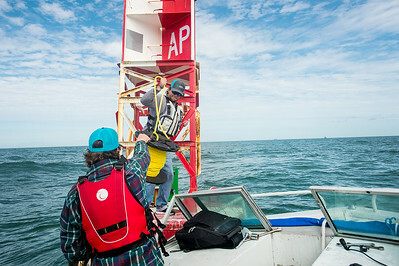 Hugo Mahlke (bottom), hands off rope to Alistair Lord during the CCPORTS installation off of the coast of Port Aransas, Tx. 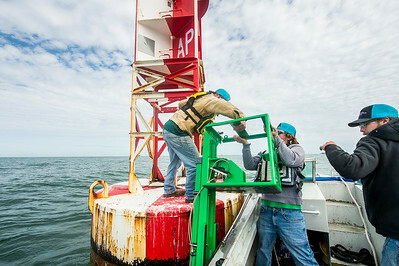 TAMU-CC Conrad Blucher Institute research engineers Zachary Hasdorff (left), and Alistair Lord attach prepare to tie a rope to the buoy during a CCPORTS module installation off of the coast of Port Aransas, Tx. 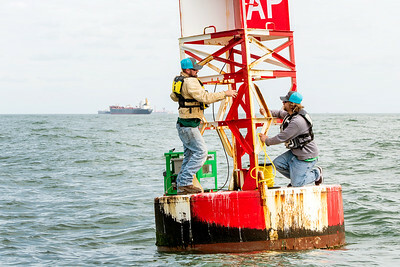 TAMU-CC Conrad Blucher Institute research engineers Zachary Hasdorff (left), and Alistair Lord work on a buoy during a CCPORTS module installation off of the coast of Port Aransas, Tx. 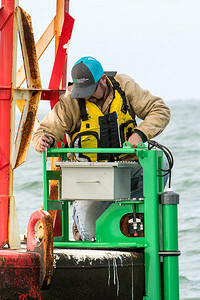 TAMU-CC Conrad Blucher Institute research engineer Alistair Lord works on a buoy during a CCPORTS module installation off of the coast of Port Aransas, Tx. 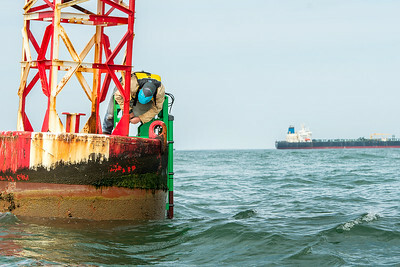 TAMU-CC Conrad Blucher Institute research engineer Hugo Mahlke (left), makes his way toward Alistair Lord during a CCPORTS module installation off of the coast of Port Aransas, Tx.